Kumiko \"Yankumi\" Yamaguchi enters Shirokin Gakuen Private School to become a math teacher. She\'s assigned as the homeroom teacher for class 2-4, populated by a gang of delinquents. At first, the class tries everything to rattle her cage, but to no avail. In a short period of time, Yankumi gains the respect of the class. But what the school doesn\'t know is that she\'s the heir to the Oedo Group, a powerful Yakuza clan. So while Yankumi struggles to excel in her career as a teacher, she must also keep her Yakuza background a secret. 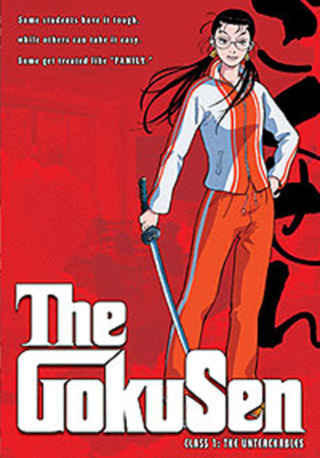 Watch Gokusen Episodes Online at Animegg.org. Gokusen is available in High Definition only through Animegg.org. Choose an episode below and start watching Gokusen in Subbed & Dubbed HD now.